Includes Spicy Olive Chicken, Penne all'Arrabbiata, Catalan Potatoes, Mussels Marinara, Date-Almond Pie...and Hundreds More! Delicious and healthy meals--in no time! Mediterranean cuisine is celebrated the world over for its fresh and healthy ingredients, vibrant flavors, and complex recipes. The diet centers around fresh vegetables and fruits, whole grains, seafood and lean meats, nuts--and, of course, olive oil. But who has time to make complicated, traditional recipes every night? With hundreds of simple, fresh recipes, you can have a delicious and nutritious meal on your table any night of the week. 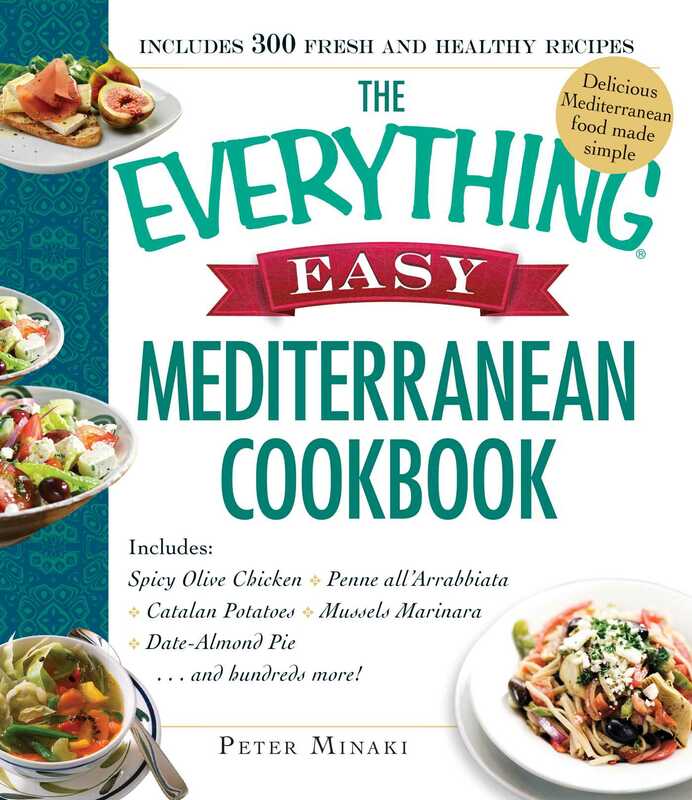 This fun and easy cookbook has all the step-by-step guidance you need to effortlessly incorporate the Mediterranean lifestyle into your busy life.